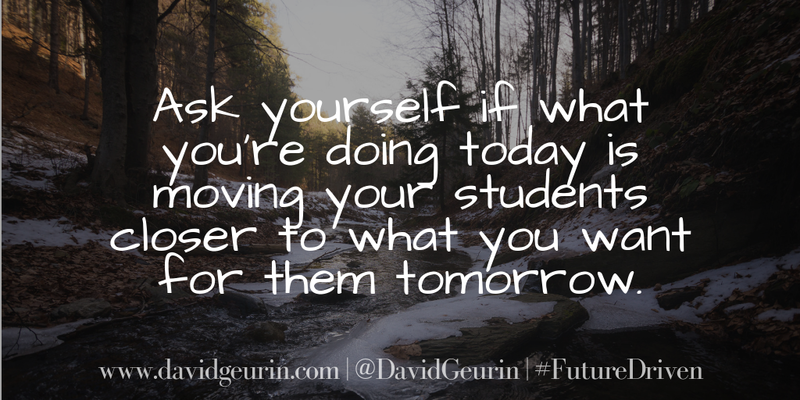 The @DavidGeurin Blog: What Would Happen If You Weren't Successful On This Thing? What Would Happen If You Weren't Successful On This Thing? What would happen if you weren't successful on this one thing? What would be the ramifications? What would be the price to pay? What would be the cost if this thing did not happen? What would happen if success in this area isn't made a priority? What would we stand to lose? How would it impact the student, the community, or the world? Some things are absolutely essential and some things are nice to see happen and some things really aren't that important at all. Life's all about priorities. But how often do we just go with the priorities of what's been done in the past? How often do we accept the priorities of others without even considering if they are best for kids? How often do we push back against the priorities of the status quo because we know we can do better? There isn't enough time, energy, or resources to make everything a priority. We have to make good choices about what's most important and how to apply our energy and effort. We have to establish the priorities that make the biggest difference. 1. What would happen if I didn't develop the strongest relationships possible with my students? I would risk losing the learner entirely. They might just check out and not follow my lead on anything. There's greater chance of behavior problems, attitude problems, parent problems, and more. If the relationship is toxic, nothing I do will be good enough, interesting enough, or important enough. It's impossible to have extraordinary learning experiences with mediocre relationships. 2. 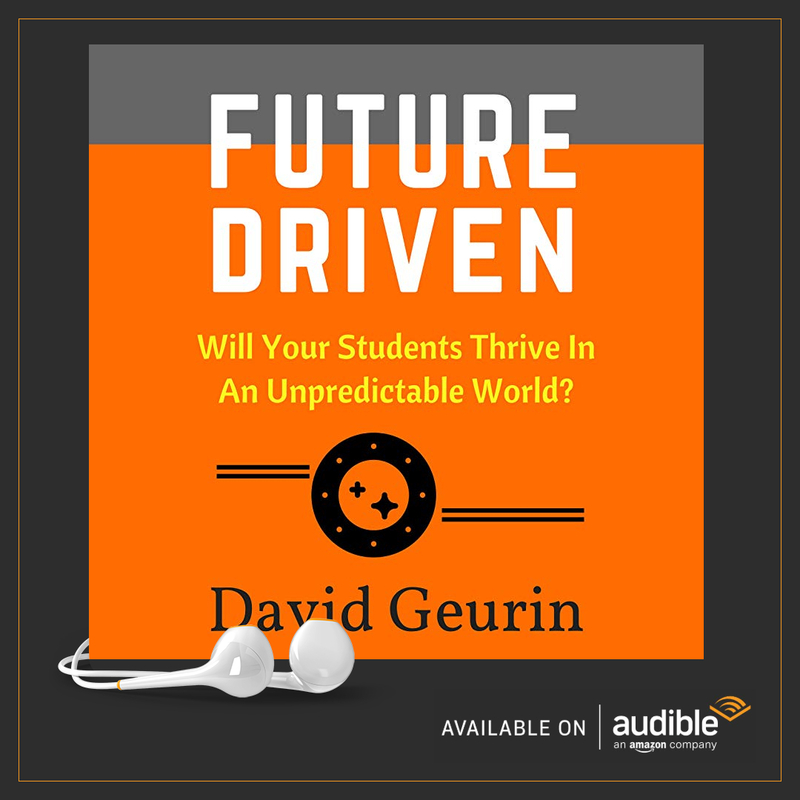 What would happen if students dreaded coming to our school or my classroom every day? If students hate school, we know they're going to be disengaged, distracted, and probably agitated. None of those are good conditions for learning. We can wish they would change and magically love school. Or we can change the school and find ways to reduce the friction. What if we made it harder for kids to hate school? What if we created a place where kids who hate (traditional) school love to learn? 3. 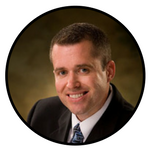 What would happen if students didn't get chances to lead and make decisions in this school? If they don't have chances to lead and make decisions now, they won't be ready to lead and make decisions later. They won't have opportunities to practice and they won't be primed for leadership and decision making beyond school. Kids need practice leading and making decisions about their learning. They need agency just as much, if not more, than they need achievement. If I simply learn, I will probably forget. But if I have a strong enough learning identity, there is nothing I can't learn eventually. 4. What would happen if students didn't master every standard in this school? They might not score as well as others on standardized tests. They might have some gaps in their learning. They might have to learn some things down the road if they're faced with situations where they aren't fully prepared. But is that really the worst thing? 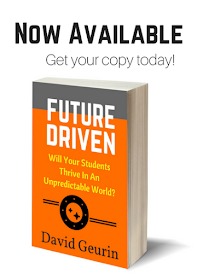 Is standards mastery the key to future success? I don't think it is. 5. What would happen if students didn't learn soft skills or develop good character in this school? I'll answer this question with another question. Would you prefer to have a neighbor that is a caring person or one who has outstanding academic skills? Of course, having both would be great. If you needed help with some complex math problems, they'd be able to help you and care enough about you to be willing to help you. But if you had to make a choice? I'm picking soft skills and character every time. So what other questions might you ask to test your priorities and your school's priorities? If we didn't do this thing, what would happen? Pour your energy into the things that you know count the most. We get most of our results out of a small portion of our effort. We accomplish 80% of our results with just 20% of our effort. The rest of our effort is lost compared to that 20%. If we can learn to apply effort more efficiently, our overall capacity would greatly increase. Let me know what you think about this thought experiment. 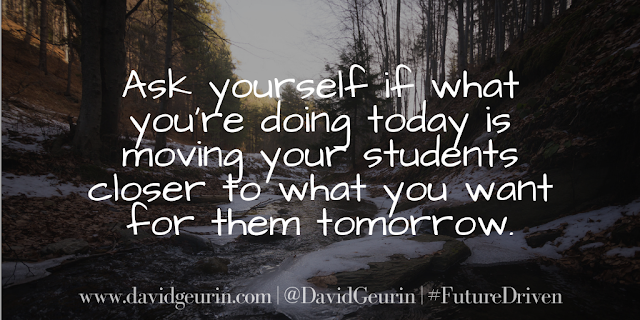 Is what you're doing today moving your students closer to what you want for them tomorrow? I want to hear from you. Leave a comment below or respond on Twitter or Facebook.